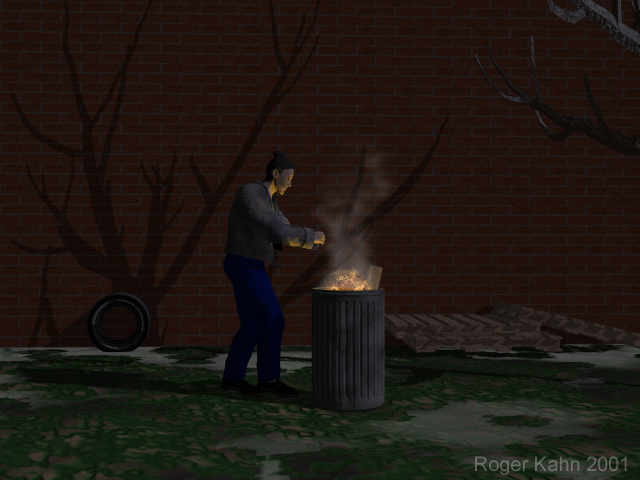 This image features a trash can from Lannie's web site and Clay's fire. The man is from Poser and all other objects from Bryce or modeled in Bryce. The only post render work is the smoke.The smoke was created using Eye Candy.